With the Samsung Galaxy S2 able to connect a laptop or PC to the internet via either USB tethering or by acting as a portable Wi-Fi hotspot it could be a difficult decision to choose which option to take. This little entry will try to explain the difference, the pros and the cons for the two systems. 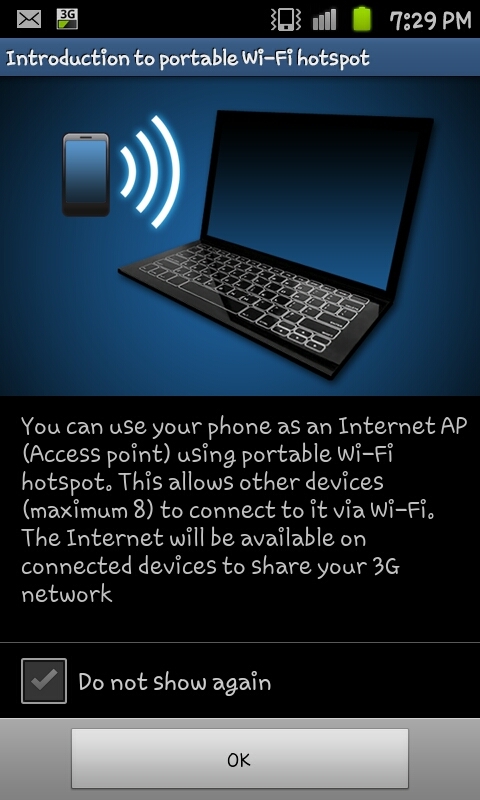 The Wi-Fi hotspot is where the phone is effectively used as a wireless router using the phones mobile internet (Packet Data) to allow computers or laptops to browse the internet wirelessly. This method is wireless and allows for upto 8 computers to connect to the phone at once. The system is one that would well well for a small group of users. USB tethering is where the phone is literally connected by a USB cable to the laptop or computer and the phone can either act as a USB Wi-Fi adapter or it can use mobile internet to allow the computer to connect to the internet. This system offers only a single connection and operates as a wired network as opposed to a wireless connection. Effectively on paper they do the same basic thing, they allow you to use the phone to connect a laptop or computer to the internet, though there is a number of difference, and not just the wired v wireless comment (as you can connect the phone to a laptop whilst still using it as a portable Wi-Fi hotspot). Firstly the battery life, if you are using the Wi-Fi hotspot option (unconnected) you can often run down a full battery in just a few hours as it's hugely battery intensive sending out the Wi-Fi signal none stop. If you've a plug socket or a USB cable make sure you have the phone connected or it will die pretty swiftly. On the other hand if you are using a USB tether you're phone will constantly be charging via the computer/laptop that it's connected to and the battery won't be an issue. Security is another issue, the USB connection is the more secure option as only your device will have a connection whilst with Wi-Fi you can either forget to put a password on the hotspot or your password could be hacked. In fact in an extreme situation your phone could be snatched as someone walks by much easier than if it was tethered. In public it's probably best to try and use a the USB tethering option, however don't rule out using the Wi-Fi hotspot mode at the right time. For example using the connection in your own home, you could easily put the Wi-Fi mode on and connect through that whilst walking around the house. The Wi-Fi hotspot mode does allow a lot more freedom, you don't need to drag the phone around with you just to keep connected. 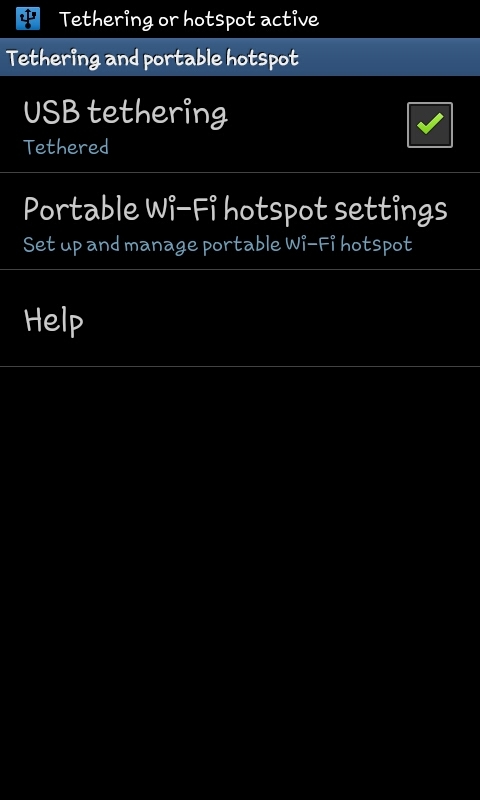 In fact, although I wouldn't advise it, you could basically use the Hotspot as the houses internet connection. As well as their difference they both come with some similar drawbacks. Remember you'll only have the speed of the mobile internet connection. You won't have the greatest of connections (especially not in the British countryside) and you'll also need to keep a close eye on your usage, especially if you have a capped allowance as normal websites aren't created with mobile internet connections in mind and it can become expensive if you go over your limit. With this in mind I'd advise you to use 3G Watchdog with both methods just to keep an eye on things. Neither method is "right" or "wrong" just use the one that you prefer and that suits your circumstances the best.